Women in Data UK is excited to announce its first ever Meet-up, in association with our valued partner Expedia Group. Join us in London for an evening of data + travel related talks and networking. Food and drink will be provided at this free-to-attend evening event. We have limited spaces available; Meet-ups are on a first come first served basis. 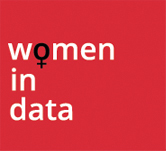 Register with Women in Data UK on the home page to receive invitations to our Partner Meet-ups. Session times: 6.30 – 7.30 p.m.
Networking: 7.30 – 8.30 p.m.